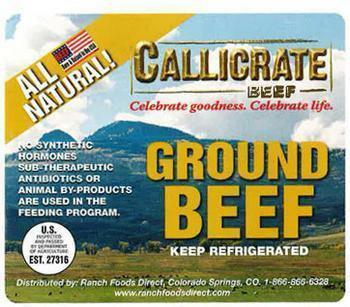 Good Food Concepts of Colorado Springs, Colo., is recalling approximately 1,290 pounds of raw intact and non-intact beef. The products may be contaminated with E. coli O26. The recalled products, bearing establishment number “EST. 27316” inside the USDA mark of inspection, were shipped to retail locations, wholesale locations, and restaurants in Colorado Springs, Colorado. Consumers with questions regarding the recall may contact Dave Anderson, at (719) 473-2306.